our boat plans and are now in service worldwide. ABOVE & BELOW: These are two different PCF 40's ... Similar layout ! 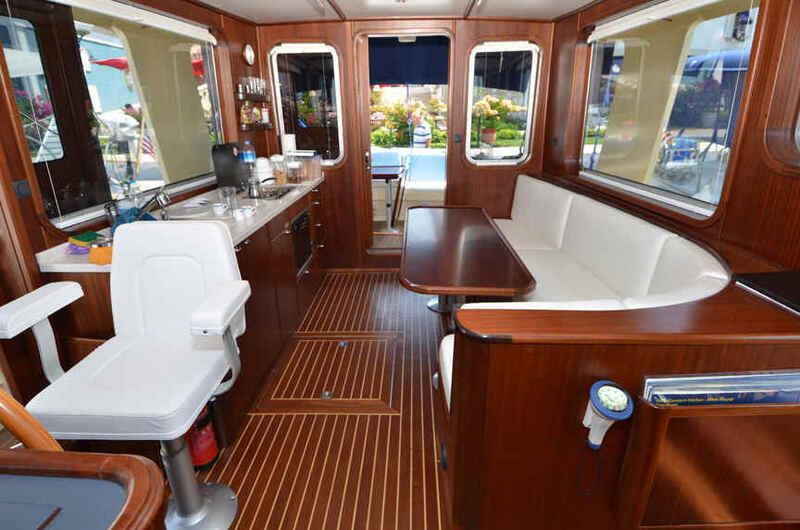 Interior of the PCF 40 built for Berke Kardes in Turkey. Down below are two sleeping cabins plus shower and head. PCF 40 - There are over 200 built and in service world-wide. This design may be built as a motor sailer for family use, or, by adjusting the wheelhouse position, by the professional for fishing or trawling. It has a large fuel and water capacity plus space for a deep freezer. Being of full displacement it is also an economical passage maker and is quite capable of crossing oceans safely and surely. It can be built in either steel or fiberglass .... One PCF 40 recently motor sailed from Australia to UK and on to Ireland ! Hello Bruce, Just to keep you posted. 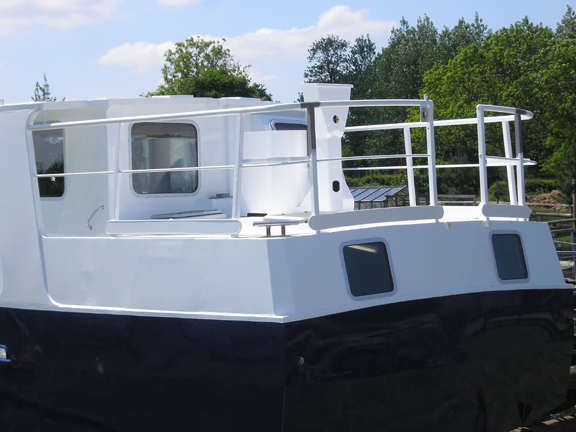 SPECIAL INTRODUCTORY OFFER: COMPLETE BOAT PLANS & FULL SIZE FRAME PATTERNS OR CUTTING FILES Delivered by DOWNLOAD to your computer within 12 hours of you placing your order. The plans have all the information you need to build your own boat..
Each plan contains all the construction drawings for STEEL or ALUMINUM ( Cutting files ) or ( Plans and Full size frame patterns FIBERGLASS ) construction, plus bonus drawings covering electrical, plumbing and engineering, everything you need to build your boat. L.O.A. 12.19 m 40' 0"
L.W.L. 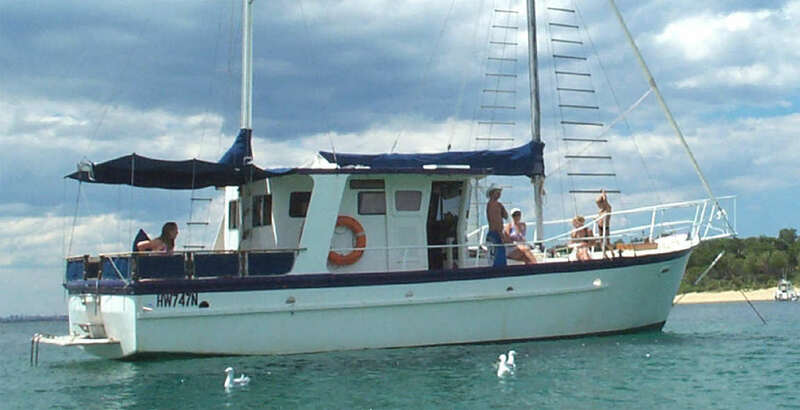 10.67 m 35' 0"
BEAM 3.97 m 13' 0"
Steel or Aluminum cutting files and boat plans. 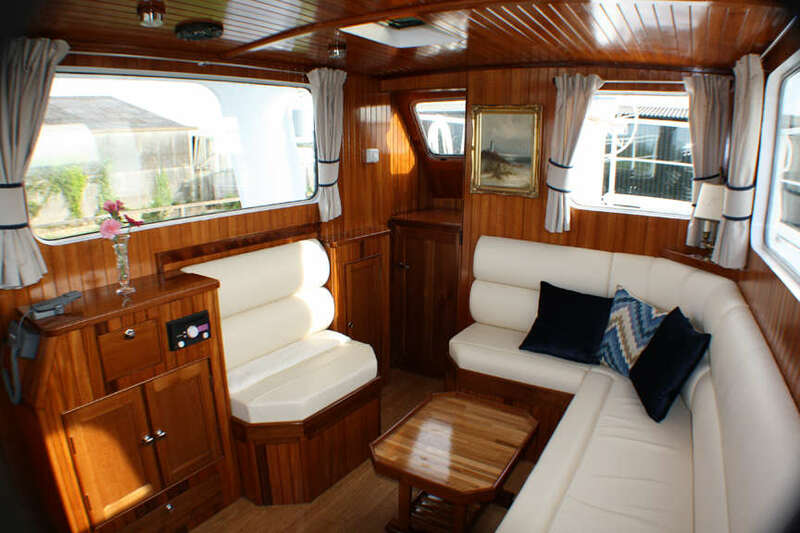 The PCF 40 is one of my favourite boats and makes an ideal family motor sailer. 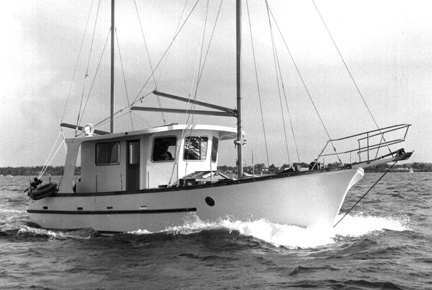 The hull is based on a trawler design that we built in the 1970's and as with all well designed trawler hulls - this is a great sea boat. Note that the PCF 40 will accept a variety of rigs. 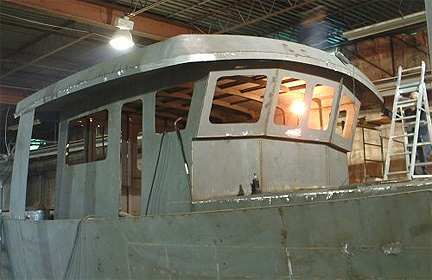 This is a well proven trawler hull that can cross oceans ! PCF CUTTING FILES AND PLANS. Dear Bruce, you are great and so fast! Berke's PCF 40 is now completed and you can see many photos of this fine example when you order the STUDY PLANS for this design. 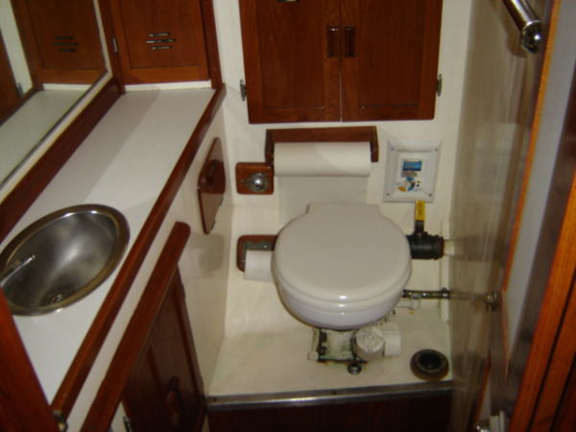 Boat Plans for fiberglass or Steel or Aluminum cutting files and boat plans. This is the original accommodation plan. This is the accommodation plan we have prepared for the new steel KIT version. You can vary the layout to suit yourself. 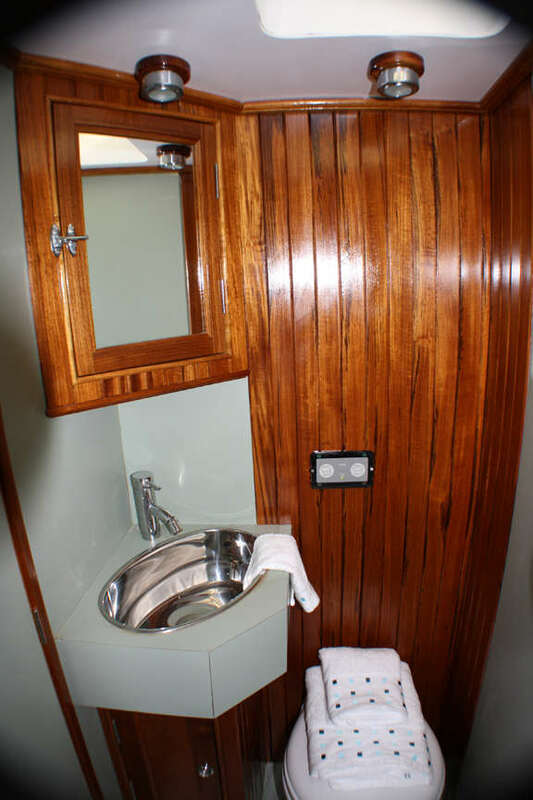 This is an optional aft cabin added to the original accommodation plan. I would like to say that as a total amateur I found the whole experience a very rewarding project with result that is a boat at a fraction of what she would have cost built by others. Hopefully she will also give my wife and I many years of happy boating. 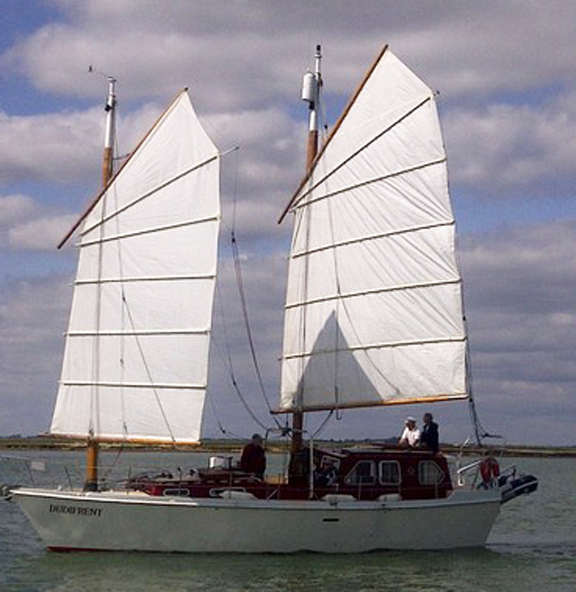 The professional help was limited to a minimum but what was done professionally was the welding together of the kit in a Kent boatyard, The design and install of the rig and the same for the sails. Apart from that my wife and I did everything ourselves. Sorry no, we had the upholstery professionally done as well. All the very best and thank you for your interest. We have found our Absolutely fantastic. My wife and I really are living the dream. 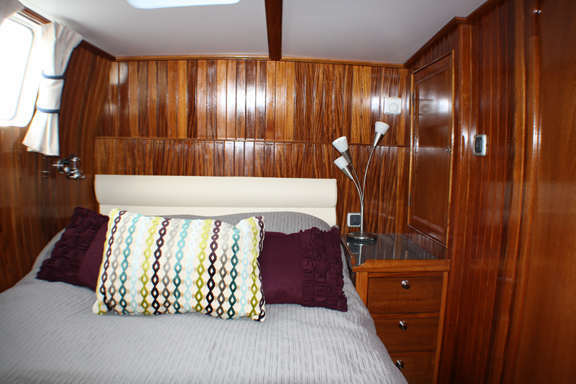 When we sailed her from the east coast round to our berth on the river Exe, about 300 miles, our skipper, a very experienced sailor, commented many times what a great boat she was. He made the comment one day that although he wouldn’t do it by choice, if he were caught out in a force 9 at any time he would be confident of the boats sea keeping abilities to get home safe and sound. Bruce, looking through your web site I had a pleasant surprise to find my PCF 40 photo's shown. If for any reason you would like further information or photo's please do not hesitate to contact me. 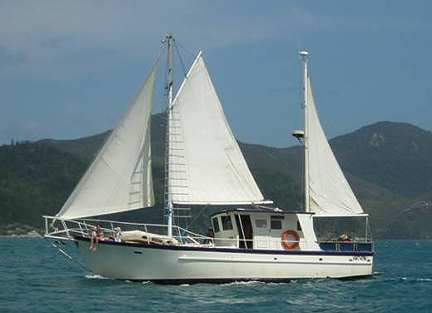 I recently, (Easter 2006) spent 5 days on board "MOJO II" heading towards Townsville, 25 to 30 knot wind and 2 to 3m seas, and she handled it with ease. 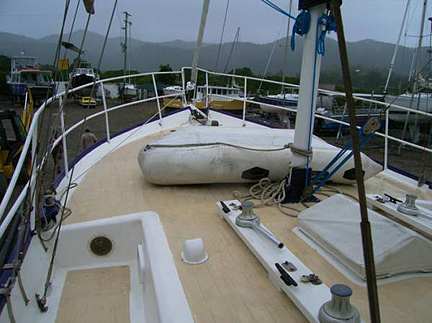 Boat Plans for fiberglass or Steel or Aluminum cutting files and boat plans. The PCF 40 is flush deck forward making for easy anchor handling and plenty of space to stow the dinghy etc. I recently purchased a PCF40 after recovering the boat from a reef on Guam, where it had been aground for about 6 years. We are in the process of bringing her back to sea worthy condition. The boat's name is the Pearl. 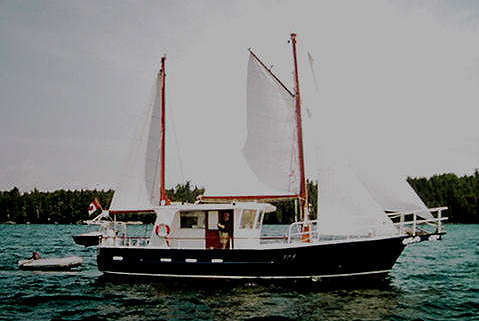 She was originally built in Papua New Guinea in 1978 and has crossed the Pacific four times over her past life. She was used primarily as a small cargo transport between the Pacific Islands. Bruce replies: WE SENT A SET OF boat plans WITH OUR COMPLIMENTS ! STEEL OR ALUMINUM KIT or CUTTING FILES & boat plans. 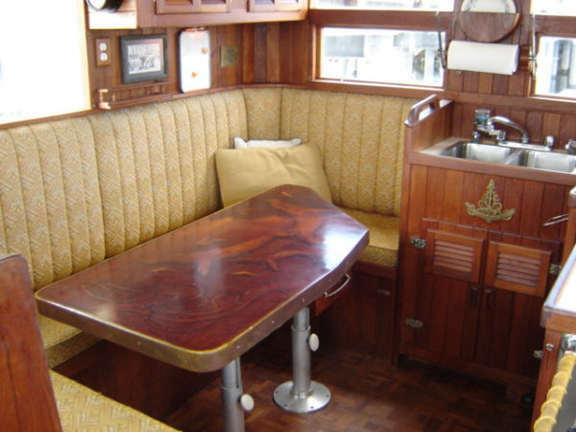 Other sail boat plans are available - what do YOU want in the way of a rig ?